Hello and Happy New Year! It's time for a brand new CR84FN Challenge! CR84FN45 will last for 2 weeks. 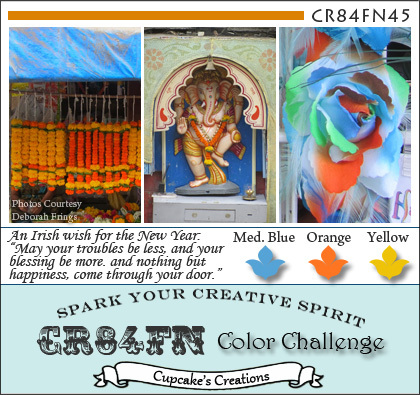 Our color palette is Medium Blue, Orange and Yellow. Photos courtesy of my CR84FN teammate, Deborah Frings! Today I used the sweet Pure Innocence - Cause for Celebration. For sketch inspiration, I used this week's WSC Getting Sketchy #52 from My Favorite Things. All the challenge details can be found HERE. Accessories: Die-namics Mini Tabs Foursome (My Favorite Things), Corner Chomper (WRMK), Markers (Copic), Rhinestones (Pizzazz Aplenty), Foam tape, Thread, Sewing machine. This is really sweet - love that image! Lovely layout and great mix of papers. Super! Happy New Year! Awe, what a sweet card Stephanie! Love the way you colored the little PI girl ~ the shading of her skin looks awesome! Every time I see you use on of these images, I think of Sabrina :) Happy New Year! She is so sweet! What great coloring! How adorable! 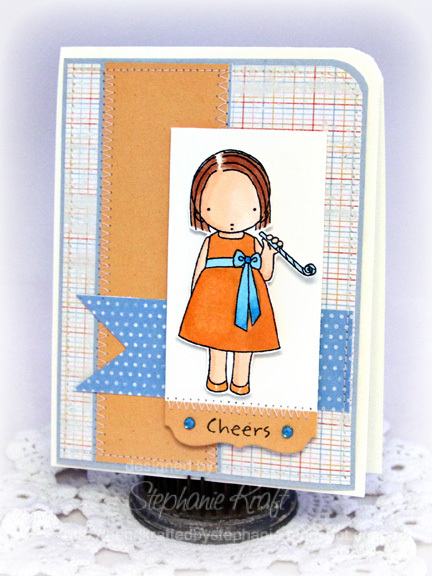 Lovely design and she is so cute with her little cheers sentiment! Sweet card. Happy and blessed new year to you and your family! What a sweet celebration card--perfect for New Year's! Lovely card ...a great color combo too! Stephanie, that background paper is just so PERFECT for this color challenge and that sweet little girl just reminds me of your daughter! GREAT card! Cherrs to you for 2012! Oh, she's so cute! Great card. so cute! darling card, Steph! This is the sweetest Stephanie and you've colored her beautifully. A happy new year to you! How sweet is she! Fab use of the sketch and colors! Awwww, such a cute image in these colors! 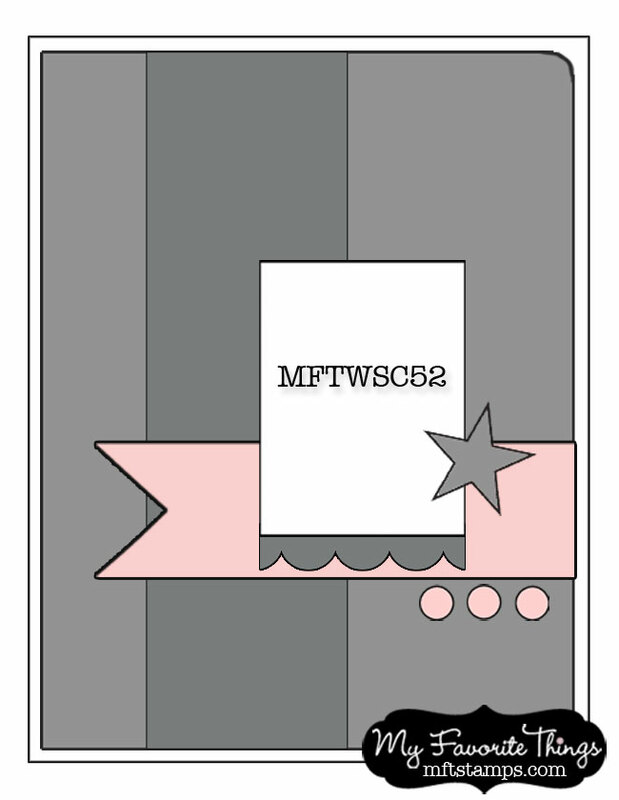 I love the little diecut tab you added to the bottom of the panel--I must try that!